Town council meetings can be scrappy affairs. 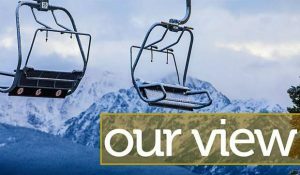 Ask anyone who has attended a debate about Eagle River Station or the Roost Lodge in Vail or the Ginn property in Minturn. People who comprise a community naturally have strong opinions about its future. They are invested, both financially and emotionally, in their community’s future. A debate about what happens at home is certain to bring out as much rancor as any national issue. But last week, before the conversation turned nasty, Gypsum Mayor Steve Carver took a few minutes to remind a town hall crowd that they were neighbors, not enemies. The subject was the new development plan for Stratton Flats. Now called Spring Creek Village, the project will increase the overall density at the site and transform the neighborhood from a single family home area to include 282 apartments in 12 condo buildings. The residents who live in the existing single family neighborhood have been outspoken in their opposition, noting that they wanted to see the area develop they way they were promised it would. Other groups and individuals from around the valley have hailed Spring Creek Village as a project that will help address the local housing shortage. In short, the lines were drawn and the meeting was ripe for confrontation. But before the debate started, Carver took a simple step. He told the audience members to take a few minutes and introduce themselves to the people sitting in their vicinity. The town council members did not insert themselves into that process, instead they stayed out of it and a bunch of people met their neighbors. That’s what gets forgotten when a local issue turns controversial — in the end, you aren’t fighting with an evil empire, you are fighting with the people who live a few blocks away. Everyone shops at the same grocery stores, picks up mail at the same post office and pays bills to the same utilities. Disagreement is part of human nature. Vitriol doesn’t have to be. Passionate beliefs don’t have to turn into personal attacks. Maybe other town councils should try the Carver method. At the very least, it helps make a meeting more civil. And, as we all know all too well, civility seems to be in short supply across America these days.